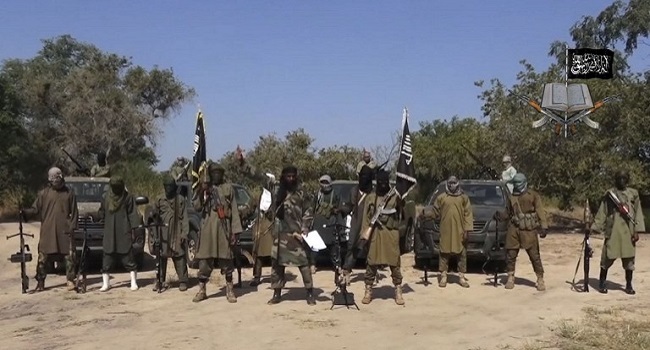 14 February 2015- Heavily armed members of the Boko Haram terrorist group attacked a military checkpoint in Gombe on Saturday, forcing residents and soldiers to flee the area. Fleeing residents and security sources told reporters that explosions and gunfire were heard after the fighters overwhelmed the checkpoint at the edge of the city, which has been bombed before but has never had the insurgents attempt to take it over. Reuters quoted a witness, Abdul Hassan, as saying that soldiers ran away after the checkpoint was overwhelmed. The militants then burned down a police station on the outskirts of town, he said. Other residents have been forced to stay indoors, with another witness, Hussaina Maji, saying she was unable to leave her house for fear of being caught in crossfire. “There are gun shot sounds everywhere and heavy artillery fire. People are running down the streets from the area which under attack, The whole town is in a state of panic,” resident Godfret Obeate told Reuters by telephone. Security authorities have not confirmed the attack and the number of casualties is unknown. The Boko Haram sect has continued to attack communities in the north-east region of Nigeria, as it pushes for an Islamic state, posing a grave security threat to Africa’s biggest economy and top oil producer. Thousands have been killed while hundreds have been kidnapped, with the group increasing its threats in neighbouring Cameroon, Chad and Niger. The countries have formed a Multinational Joint Force to battle the insurgents. Nigeria’s general elections was last week postponed, with the electoral body citing security operative’s advice and request for a shift to enable them secure towns in the north-east before the elections. The military had told the Independent National electoral Commission that it could not guarantee the safety of lives and property in the region during elections, demanding for six weeks to degrade the activities of the terrorist group. On Thursday, the West African Allied Forces led by the Nigerian military, supported by Chad, Niger and Cameroon, stormed the Sambisa Forest in Borno State, killing a good number of insurgents. A top military source told Channels Television that the air forces bombarded the insurgents, before ground forces moved in and incapacitated the insurgents. Already the insurgents have been pushed out of Gamboru which lies on the Nigerian border with Cameroon. Boko Haram attacked a village in Chad on Friday, the first known lethal attack in that country by the sect, which killed several people including a local chief according to residents and security forces.